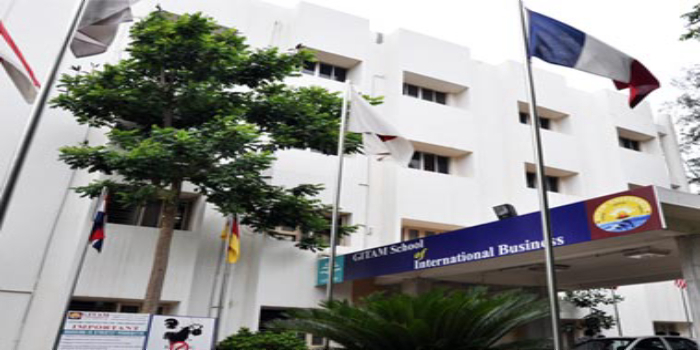 GITAM School of International Business (GSIB), located in Vishakhapatnam is a privately owned institute founded in 1997. It has two other campuses in Bengaluru and Hyderabad. The integrated business school is an affiliate of GITAM University. GSIB focuses on teaching, research, consultancy, and executive education in the exclusive areas of International Business and Global Entrepreneurship. GITAM School of International Business is a member of Association to Advance Collegiate Schools of Business (AACSB) – International, USA and is networked with Professional Organizations, Industry, and other business schools to advance its interests. Food expenses are included in the above cost. Application can be submitted in online mode by visiting the official website of GSIB. Alternatively, the application can also be downloaded from the and submitted duly filled-in, enclosing a DD for Rs.1000/- in favour of “GITAM School of International Business”, payable at Visakhapatnam. GSIB accepts Valid test scores in CAT- 2017 / XAT - 2018 / MAT - (Sep-2017, Dec-2017, Feb-2018 and May-2018) / GET’18 (GSIB Entrance Test 2018) / NMAT/GMAT/CMAT– 1st & 2nd tests before submission of application. Those awaiting results of Final Year Degree examinations may also apply. However, if proof of graduation is not submitted by 30th September 2018, their admission will be automatically cancelled without refund of fee. The B-school also has good industry linkages with big industry players like IBM, Tech, Mahindra and Fluentgrid. GSIB holds Membership in Professional Bodies like All-India Management Association, National HRD Network, Association of Indian Management Schools, Academy of International Business, Michigan State University (USA), and many more. Your GITAM School of International Business, Visakhapatnam brochure has been successfully mailed to your registered email id .